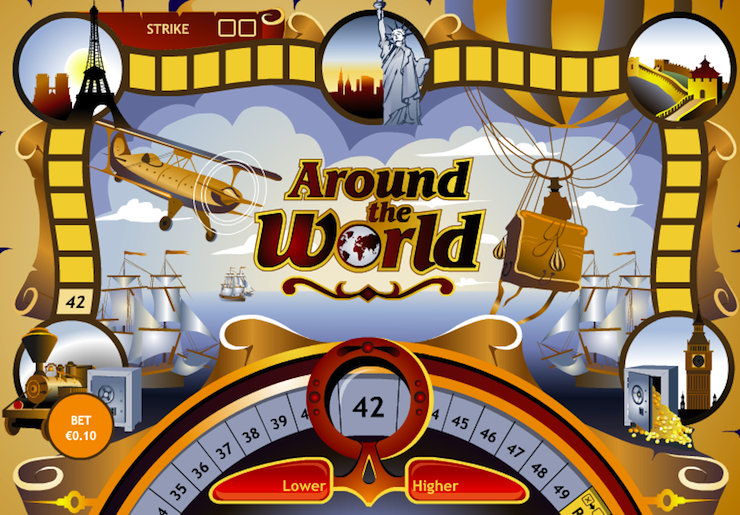 Around the World - play online! Created by Playtech, Around the World is a game for those who like to travel. The rules are simple. At the bottom of the screen there is a wheel with the numbers 1-49 and special symbols. After spinning the wheel, the number will be picked up. You must guess if this number is bigger or smaller than the previous one. You can bet $0.1 to $100. Easy and convenient interface makes playing this game pure pleasure!